Welcome to the latest interview celebrating the talents of British artists in the field of scrapbooking, photography, mixed-media, art journaling, feltmaking and quilting. Some names you may know and some may not be so familiar but they are all hugely talented. 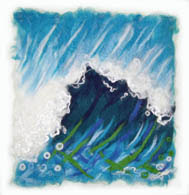 I am a contemporary felt artist creating dramatic wave-inspired wall art inspired by the ever changing Brighton seascape. 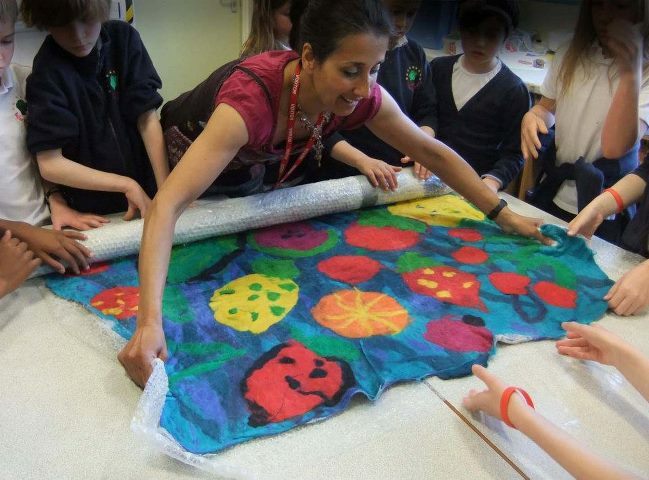 My subject matter within nature is constantly evolving as I produce unique animal wall art for kids, cosy floppy-eared felted hats and pretty floral jewellery. My individual method of feltmaking results in highly coloured, tactile works of art that are rich in texture and depth! The sea and its hypnotic calm quality to the turbulent Winter waves of brown and olive greens. i love that this force of nature is never the same. Feltmaking is a relatively new outlet for my creativity. What makes it such a refreshing medium is its versatility. It can be of a cobweb thin delicacy or have a painterly quality whereby you add layers and texture gradually with contemplation. Felt can also be a robust three dimensional garment of sculptural properties. I am a freelance graphic designer specialising in packaging design. The relationship between image, typography and colour has always been of great importance to me. When I was 3 I used to draw fantastic creatures in crayon. I would then place them on the window and continue to draw the reverse. When you are a child you are constantly exploring and inadvertently tapping into your inner creativity. As an adult, searching and questioning everything around you is still of utmost importance. Without this hunger for knowledge, creativity cannot be released. Sketchbooks and ideas books are like gold dust. 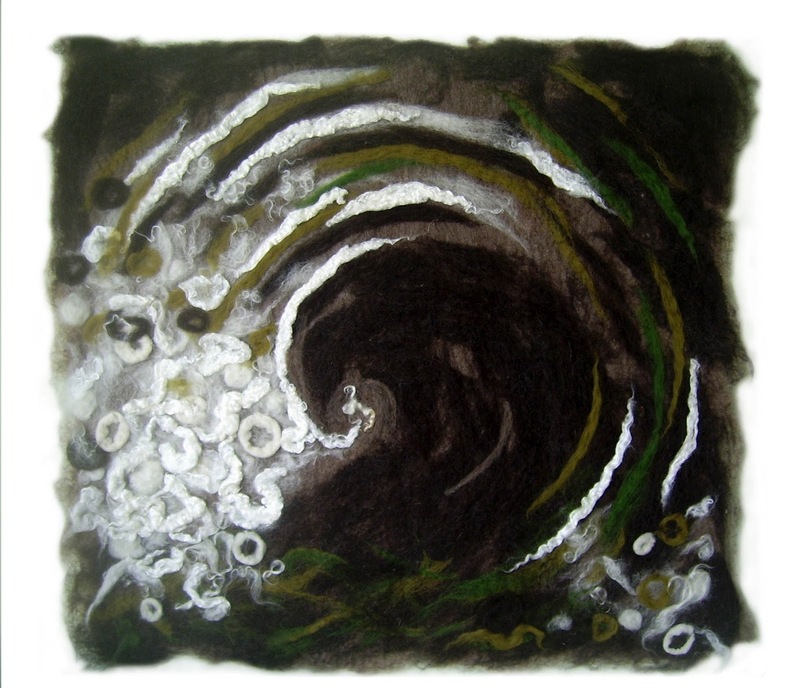 When I think of dramatic waves, I want to work in a bold and powerful way. Colour is always important, it has to have contrast and impact. *Describe your style using 5 different words. Share your thoughts about these words. Textural ~ Felt can have a three dimensional quality that enhances the power of my wave art. If you were able to ask Karen anything what would you ask? Please add your question to the comments below. 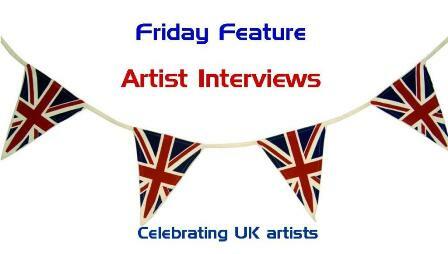 See you next Friday for an interview with Sian Fair. 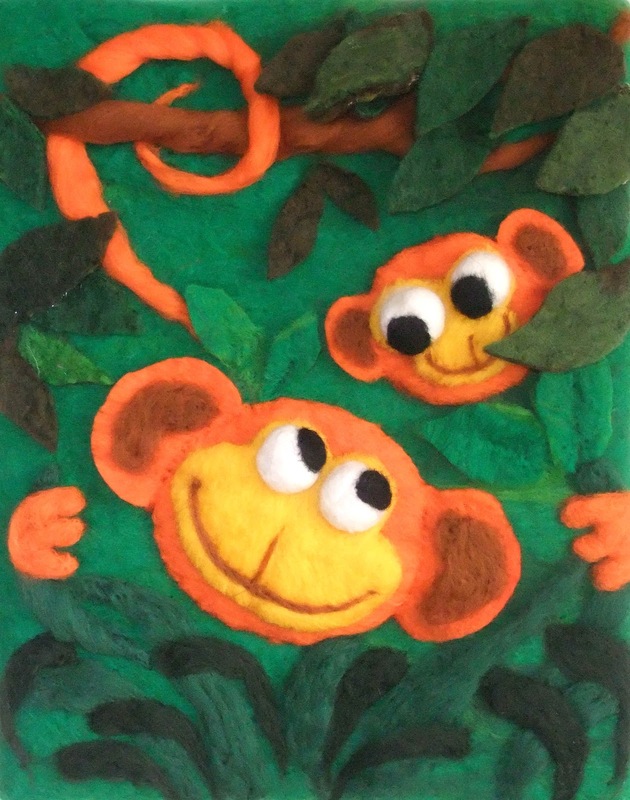 Lovely work Karen, I love all the energetic movement with the felt pieces and the beautiful vivid colours that you use with the animal designs. Well done. Thank you so much - colour is so important to me and when I create a picture, it is very much like painting and considering the composistion to create that drama! WOW stunning pieces!!! 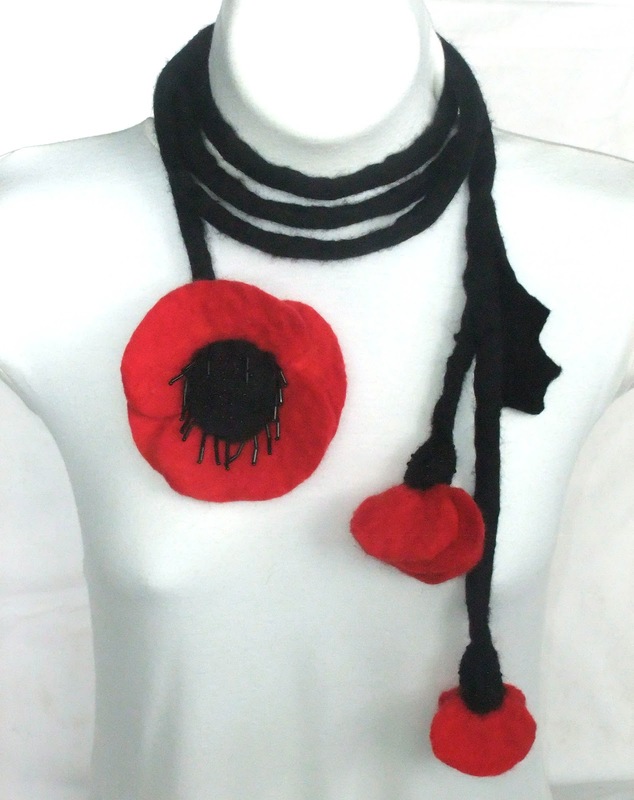 I sure have been enjoying the look of felting, it is so versatile! I highly recommend it - and it's so therapeutic too!